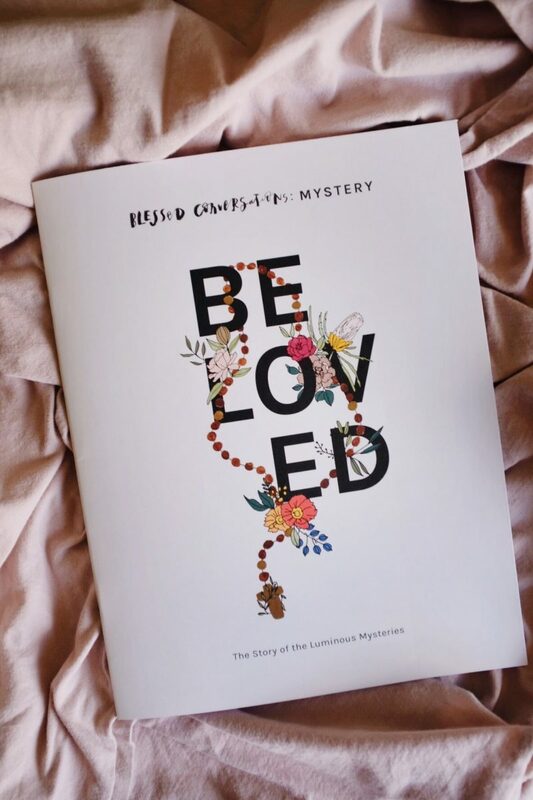 MYSTERY // Beloved is one of our newest studies as part of the Blessed Conversations series. 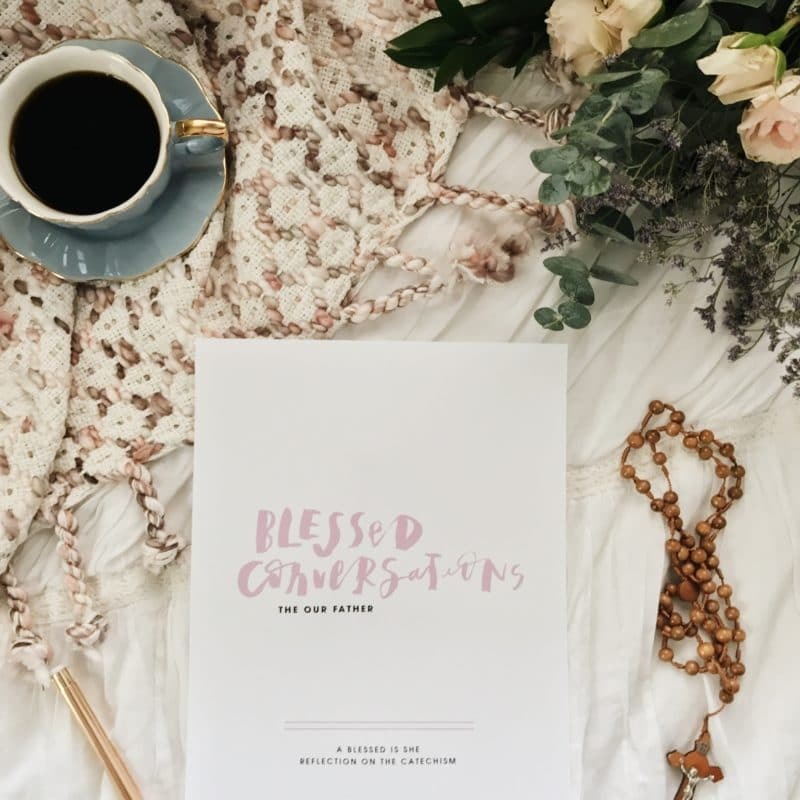 This five chapter downloadable study invites women to enter more deeply into all five of the Luminous Mysteries. 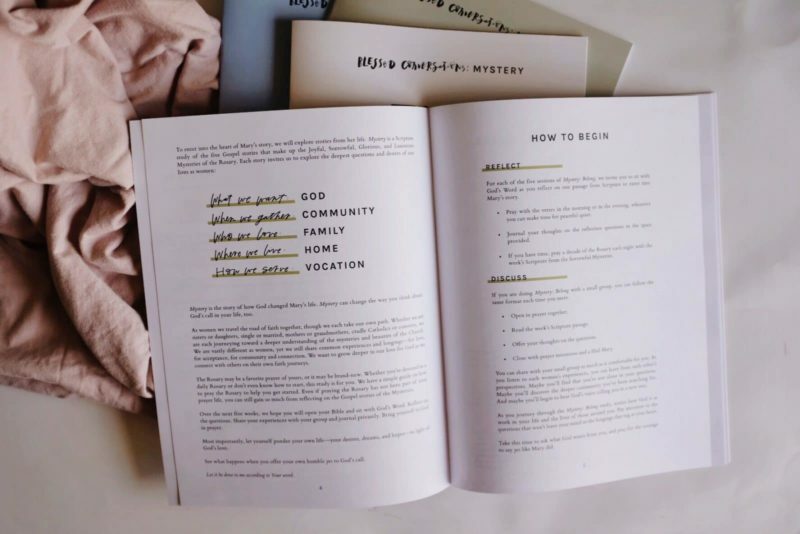 The MYSTERY Studies can be used for personal reflection and/or group study. You can purchase all the studies as one pack here. 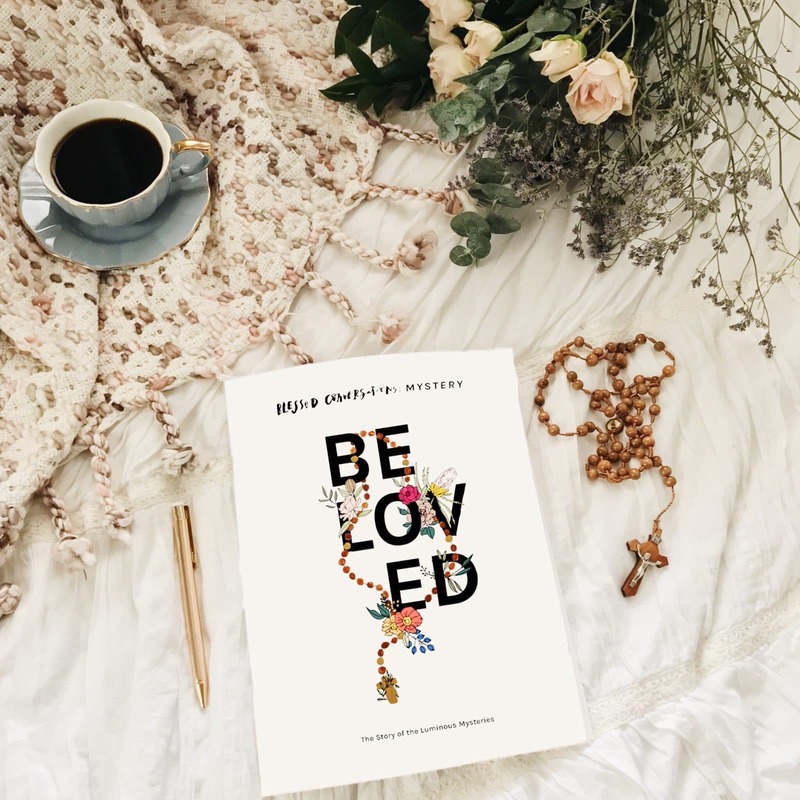 We examine our lives mirrored in Mary’s as we ponder a different layer of our relationships in each of the five Mysteries by focusing on vocation, community, home, God, and family. 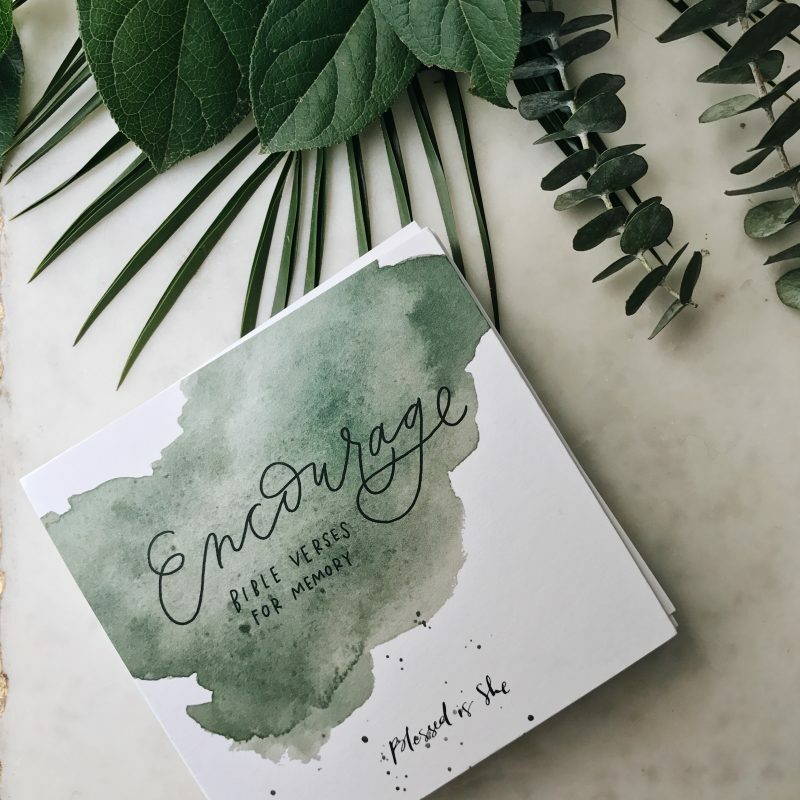 Whether your group is three women gathered in your home, or 103 gathered in an auditorium, this study is suited for Community Groups of all sizes. 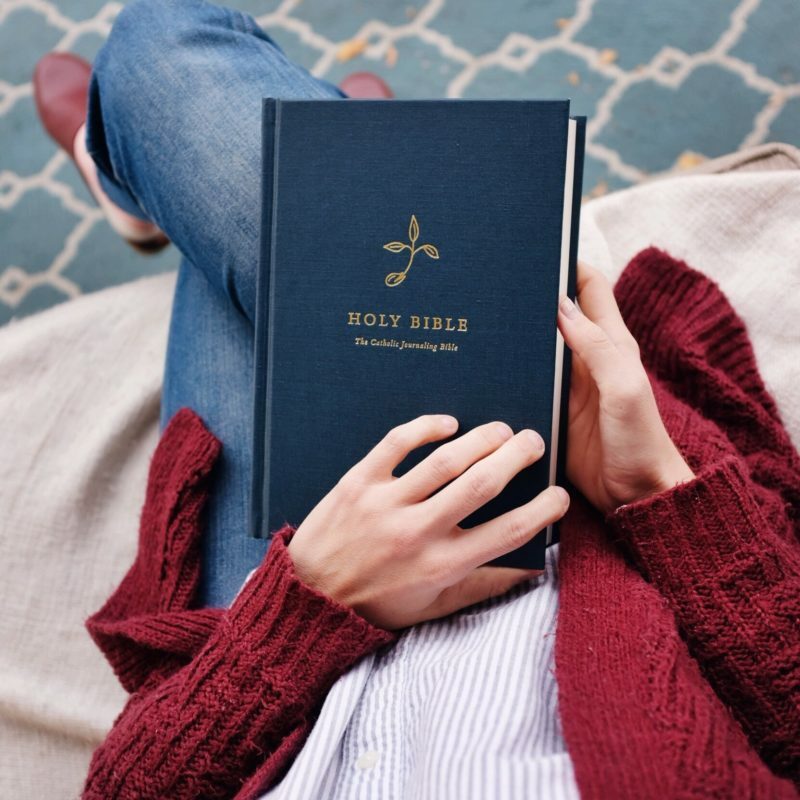 You can read aloud a chapter together as a group, discuss the questions, read it ahead of time and journal about it, or ponder the Scripture verses using lectio divina. 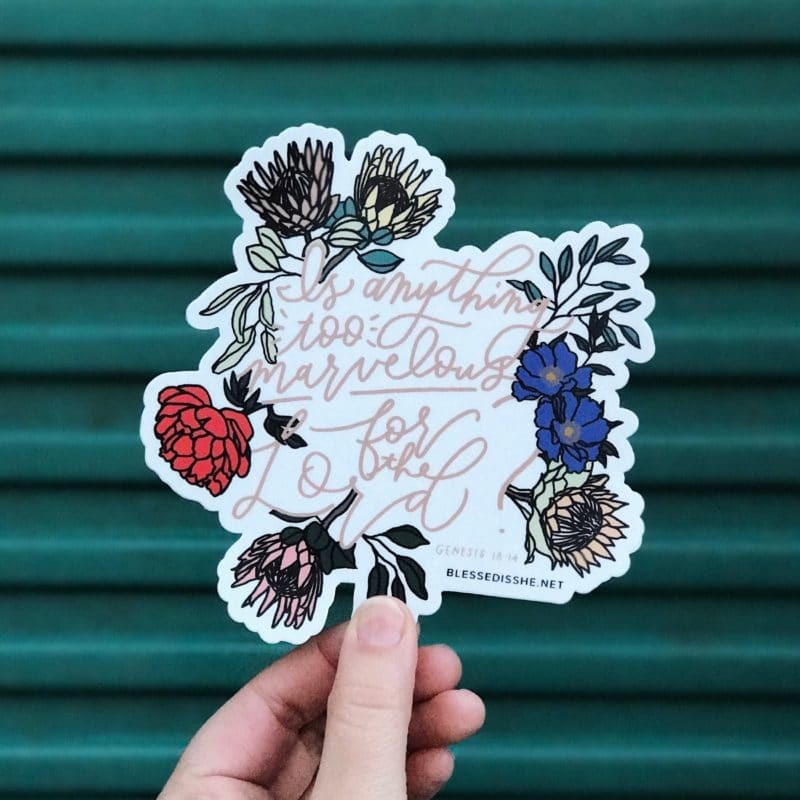 Designed by Erica of Be a Heart. Prefer the booklet instead of the digital download? 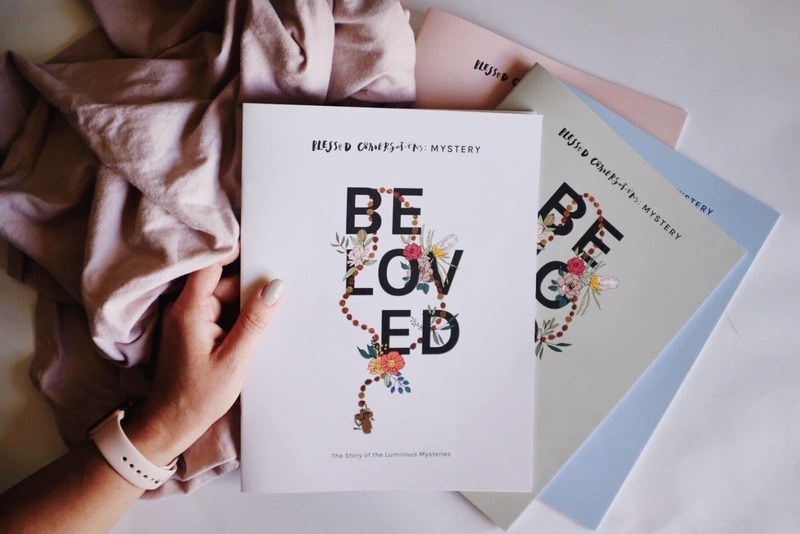 The booklets are available as a set right here. 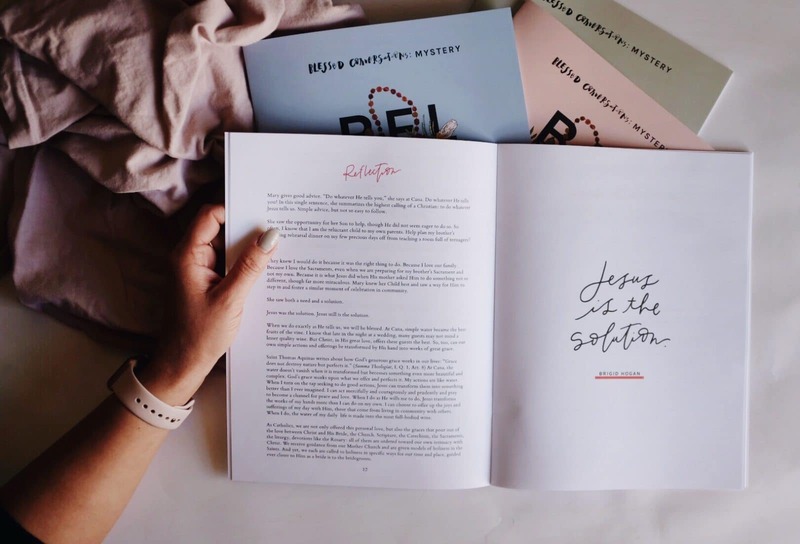 The MYSTERY Studies can be used for personal reflection and/or group study. Nell O’Leary of Whole Parenting Family is the Managing Editor of the Blessed Conversations series. Her background as an editor includes Managing Editor of Law Review in law school, Co-Editor of a student journal and Assistant Editor of a literary journal in undergrad, and many other editing projects. 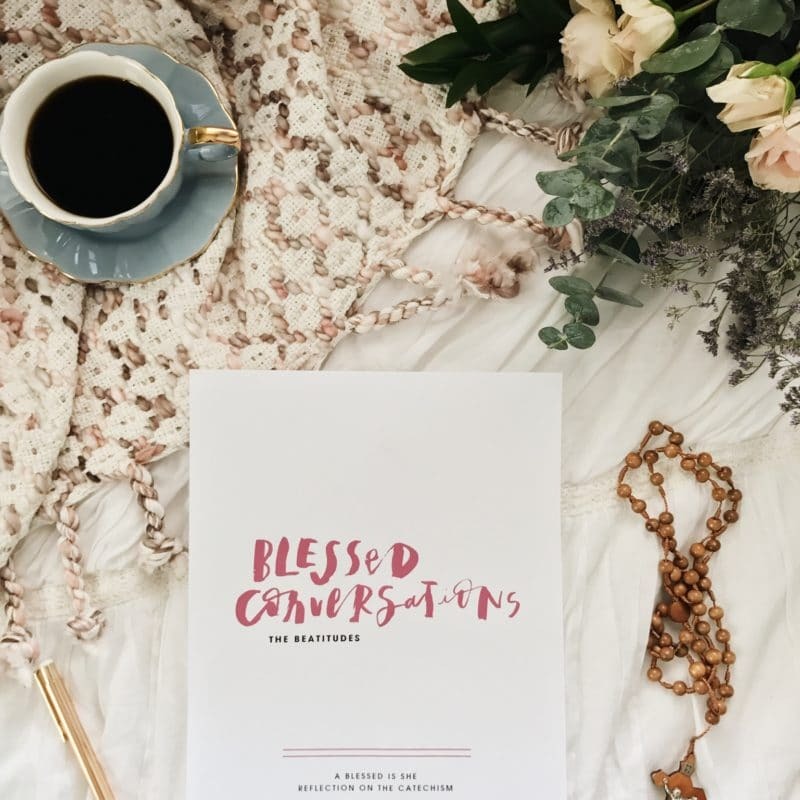 Susanna Spencer of Living with Lady Philosophy is the Theological Editor of the Blessed Conversations series. 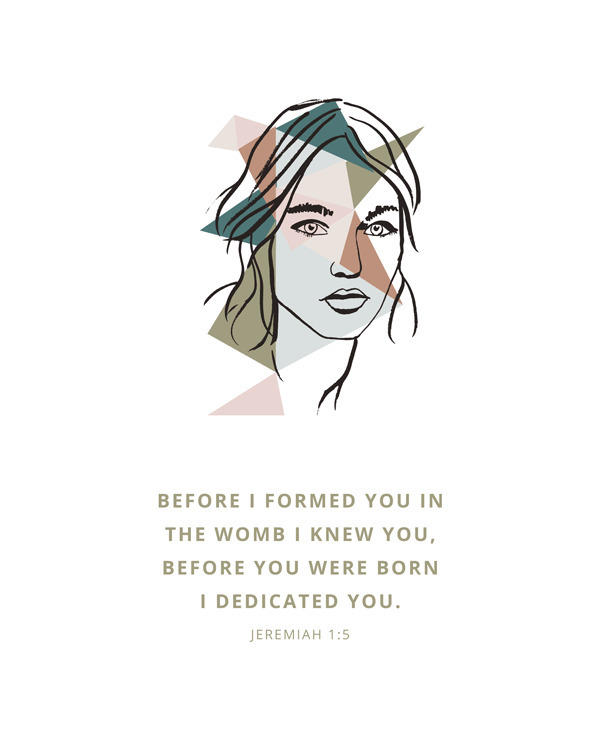 She holds a Masters in Theology from the Franciscan University of Steubenville. She is a regular contributor for many Catholic journals and publications. Beth Davis is the Director of Ministry Advancement for Blessed is She. She curated writers and drafted discussion questions for the MYSTERY Series.